Snapwire App Review: Legit Cash For Photos? Last updated on February 5, 2019 By Nat Leave a Comment This post may contain affiliate links. We appreciate you supporting Rags To Niches! Full disclosure here. Snapwire is an app where you can earn money from taking and uploading photos – which sounds a great way to earn some cash for the budding photographer…. But is it legit? Can you really make money with this App? In my Snapwire review today, I will outline the following…. How Does Snapwire Work? Making Money. Other Ways To Make Money Online. Have you had any experience with Snapwire? Please share your experience in the comments below! Snapwire is a website and an App that you can download via IOS and Google Play. Via the website, you can request shots done and Snapwire will work with you to and assign creators to your project. With their app, which is what I’m primarily focusing on today, you can upload your own photos and create a portfolio on the App itself. You can then access requests for paid photos and submit your photos for consideration. You are also able to edit your photos on the platform. One of the main ways you can make money, is by participating in Photo challenges, that provide a cash prize for the winner, (more on that in a moment!). To get started, you simply need to download the Snapwire App via IOS or Google Play and use either your email or Facebook account to login. Personally I decided on Ebay, but Facebook is a quick way to go about it. You then need to select what categories best match the Photography you do the most. Don’t worry – you don’t only choose one, (unless you only stick to one niche of course!). Overall, you can select a Max of 10 categories. Which you can adjust later. I selected the max of 10, I think it’s best to give yourself plenty of scope category wise. You can also link up your Instagram and website on your profile. This is a good way to potentially get some followers and some more visitors to your site! From here, you’re given a quick introduction of how the platform works and you’re then ready to get uploading your photos! How Does Snapwire Work – How Do You Make Money? There are a couple of ways that you can make money on this platform…. This is where a client will put a request in for a project, for a cash prize. There will be an outline of the project and information regarding what sort of photo the client wants. You’ll then be able to view all the photos that have been submitted. Each project has a deadline and eventually, the client will choose the winning Photographer. Client creates a contest. They let Photographers know what sort of images they are looking for and create a deadline. certain photos that closely match the brief will be “nominated,” and these photos are meant to reflect who are on the right track with their images. The deadline approaches and the winning Photographer is notified and they win a cash prize! How much you make for winning a contest will vary – nearly all the contests available to me were running $100 for me. Make sure you fully read all the rules before participating in any challenges and try to closely match what the client is looking for in their brief. Typically, there will be hundreds and even thousands of photos submitted, so there is clearly plenty of competition and the photos are high quality. One contest available to me when I joined, was about vaping tricks and E-cigarettes for a $100 prize. You can see some of the nominated images below. As you can see, there are some good quality photos there but still many that are quite simple in nature. If you think you’re a decent Photographer, there’s no reason that you can’t compete. Snapwire Fees – Something To Keep In Mind! There also are additional fees that Snapwire take from your earnings directly. Their fees are 30% commission for contests and an eye-watering 50% commission for selling direct on their marketplace! This made me wince a little, but I’m unfamiliar with how common this is in the photography world. I believe that Snapwire is one platform that pays better overall per image than other similar Apps – but I’ve yet to investigate this. If you make $100 on a photo selling via their marketplace, you will take home $50. This seems pretty high, but let me know what you think? 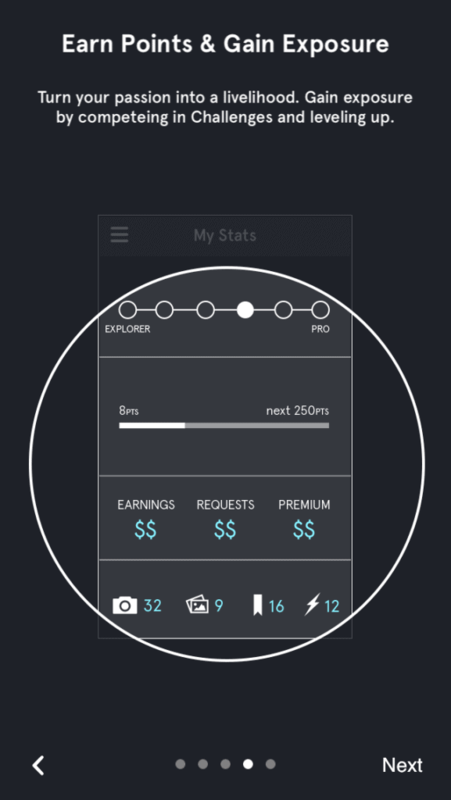 By completing in challenges and selling your work, you can also gain points on the App. Rising the ranks with Snapwire will also lead to more money, as the prices of your images in their photo library are influenced by your level. The activities that can earn you additional points to level up, include uploading & selling your images, competing in challenges, getting nominated and more. It seems to be, that the more active you are, the more points you can generate. Anyone who would like to earn money from their photos. Whether you’re a budding professional photographer, or simply enjoy Photography as a hobby and are looking to improve. Maybe you’re not that sure about how good your Photography is and would like to see how well you do in challenges, or see how well your can sell your images! Whatever the reason, this App is free to download and you won’t pay for anything unless you either win a challenge, or sell your work. Of course, your fees come directly from your earnings on the platform. As far as earning potential goes, it is going to be low for the time and effort you put in. On the other hand, if you already have a large portfolio of images to upload, then you have already put in a lot of work and could potentially profit from that here. This App has some mixed feedback online, but much of it is positive. It has a respectable 3.9 stars on the App store – but not much feedback, just over 100 reviews. However, Snapwire has a better four stars on average on Google Play and over 2000 reviews to date. 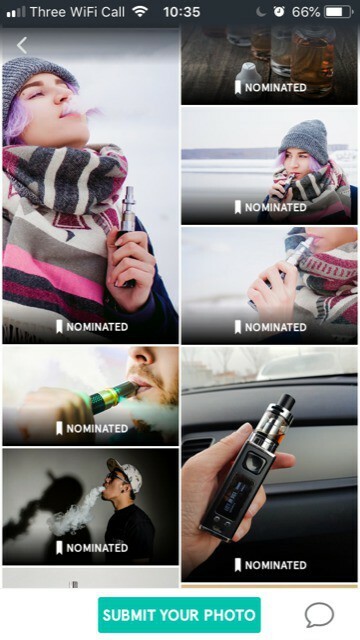 I was surprised to see that you can get friends and family to nominate photos and that some felt that poor images were nominated as a result. Another reviewer mentioned that there was no standard for getting photos nominated. Some other people also feel that it is very difficult to level up. Those reviewers that appear to enjoy this App the most, are Photographers that are simply looking to improve their photography skills and be in with a chance of winning some money. For many, Photography is simply their hobby and they are happy to do it, rather than specifically looking to make money. Nice looking App, smooth to navigate. Upload a portfolio of your work. Potentially earn money for selling Photographs and winning Photography challenges. Way to earn money from your hobby. Interesting way to view other Photographers work and generate ideas. Complaints about how nominations work. Low income potential for most. Some complain about finding it hard to level up. Is Snapwire Legit – Is It Worth it? Yes – if you’re looking for a simple way to get your photos out there in the world and the potential to make money from them, this might be an App to explore. Many people enjoy participating in challenges here and feel that it helps them grow as a Photographer. It’s probably best looked at as a fun way to share your photos, rather than a money making opportunity. But it could also be a way to develop your skills, as you grow your own independent Photography business and a little bit of competition thrown in, could be a good thing! By checking out other peoples Photography and styles you can not only get ideas for projects, but also see how you measure up and compare. While You can certainly make money here, but it’s unlikely to be a large amount. There is a high level submissions in the challenges, so the competition is tough. This App could be particularly good if you already have 100’s of images sitting on your mobile or laptop. Simply upload your best work – you may already have photos that are suitable for submitting to challenges. 14 Apps that can make you money. 5 Apps where you can win money. 6 Apps that pay you to walk. There are tonnes of ways you can make money online and also via your Photography as well. This post from Save the student, outlines a bunch of ways you can make money online from your Photography. If you’re not sure how you can make money online, or where to start, this post outlines 40+ ways to get you started! I make the most money from running my own website and it’s a great option for you as a budding Photographer as well. For example; by having your own Photography blog, you can expand your reach and develop your own brand.